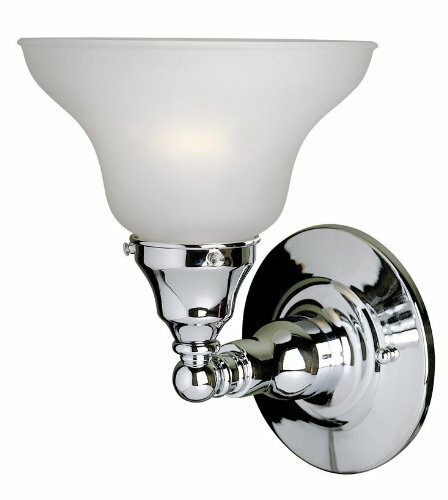 World Imports 8383-02 Montpellier 3 Light Bath with Glass Shade, Satin Nickel Expanding into the bath, World Imports Decorative Lighting and Plumbing presents our Belle For Âªt Montpellier Collection. 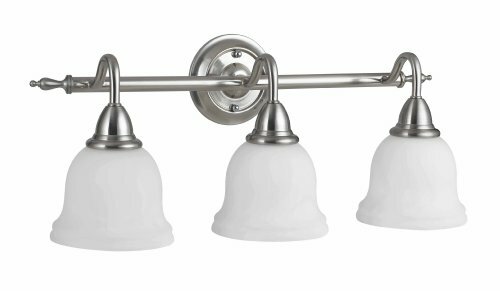 World Imports 8383-02 Montpellier 3 Light Bath with Glass Shade, Satin Nickel Features: Number of lights: 3 Number of light bulbs required: 3 100 Watts Type of bulb: Medium (Regular) Installation Dimensions: 22" W, 9 1/4" H, 7 3/4" ext. Back Plate 4 3/4" DEnter the coupon code "SUPERSAVINGS" at checkout to see if this product qualifies for a secret discount! Our NEW Ava Bath Collection is available in Chrome Finish with white opal glass or Oil Rubbed Bronze Finish with tea stained glass. Mount as shown or inverted. WI260208 Features: -Four light wall sconce.-Mount as shown or inverted.-Usage: Interior.-Certification: UL, CUL. Color/Finish: -Chrome finish. Specifications: -Voltage: 120 volt.-4 x 100 watt medium base bulbs. Dimensions: -Back plate: 5.5'' W.-Overall dimensions: 10'' H x 33.25'' W x 8'' D, 14 lbs. Collection: -Bath collection. 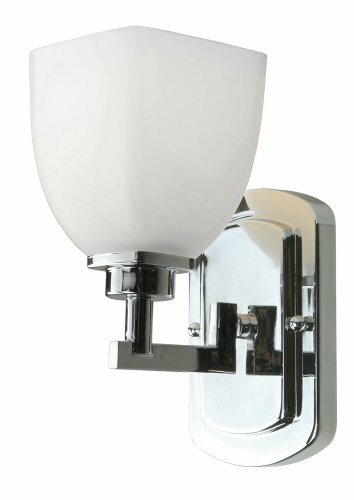 WI858108 Finish: Chrome Features: -Wall sconce.-Number of lights: 1.-Mount as shown or inverted.-Opal etched glass.-Usage: Interior.-Style: Traditional.-Certification: UL. Specifications: -Voltage: 120 volt.-Accommodates 1 x 100W A19 Medium F Incandescent bulb (not included). Dimensions: -Back plate: 6.5'' H x 4.5'' W.-Overall dimensions: 9'' H x 4.5'' W x 6'' Ext. Collection: -Galway collection. 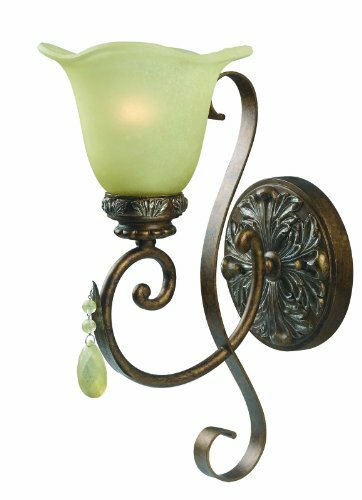 Vintage dressed up with sophisticated details describes this wall sconce. Featuring a tea stained glass shade and opaque crystals. Silver highlights accent our oxide bronze finish. 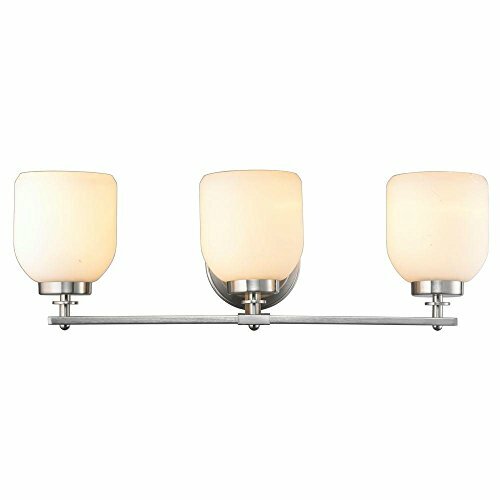 World Imports 70273-08 Asten 3 Light Bath Light, Chrome For more than 30 years, World Imports has brought a higher standard of style and sophistication to interior designers around the world. Each piece, whether traditional classic, contemporary or strikingly eclectic, is an individual work of art. With World Imports original collections, you have a unique resource for lighting of unsurpassed quality, design and workmanship. 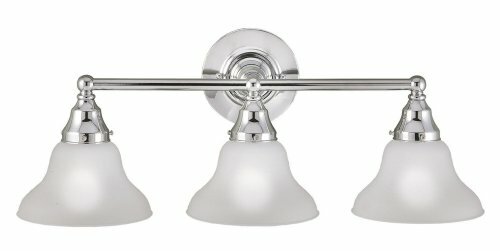 Retro four light bath bar that fits in great with the clean and simple look for homes. Can be installed facing up or down. Matching one light sconce avaliable. Four medium based bulb is required (not included). 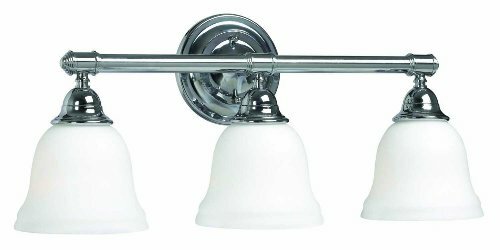 World Imports 70273-08 Asten 3 Light Bath Light, Chrome Features: Collection: Asten 3 Light Bath Light Lighting Bath Light 3 Light 3 - 100w M 25"x W, 10"x H, 8"x Ext. Also Known As World Imports: 7027308 Lifetime warranty * Image shown may vary by color, finish, or materialEnter the coupon code "SUPERSAVINGS" at checkout to see if this product qualifies for a secret discount! A modern complement for any bathroom, the Kelly collection offers a distinct glow. For more than 30 years, World Imports has brought a higher standard of style and sophistication to interior designers around the world. 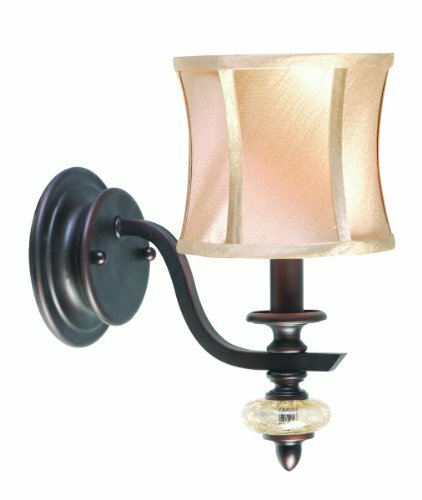 Retro one light sconce that fits in great with the clean and simple look for homes. Can be installed facing up or down. Matching bath bars are avaliable. One medium based bulb is required (not included). Shopping Results for "World Imports Glass Bathroom Lamp"